Jerry Hoffman founded Blue Water Cleaning in 1983. For over 30 years he has faithfully served the communities of St. Clair County and Sanilac County. Our Office is located in Port Huron, Michigan. Click here to get directions to the office. The services we offer are: carpet, rug, and upholstery cleaning, mold remediation, water extraction, fire and smoke restoration, office cleaning and janitorial services, tile refinishing, wall washing, pet urine removal, odor removal, sump pump overflows, sewer backup recovery, drywall services, and painting - exterior and interior. Over 85% of our business comprises of repeat clients and their referrals, we are the #1 cleaning company team that you can trust. Call today for a free estimate. We look forward to serving you! Pleasing our customers is top priority. 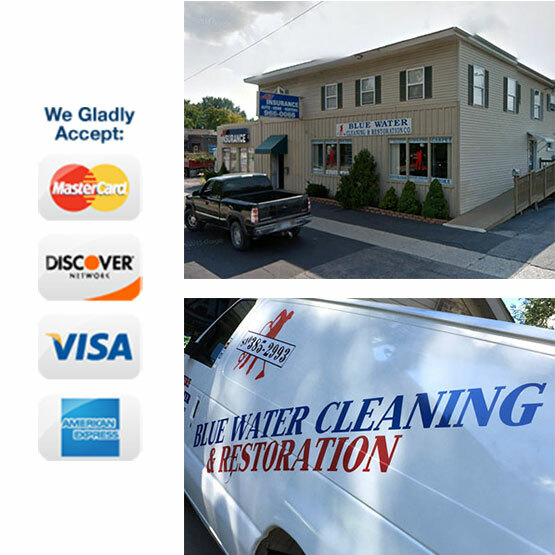 Thank you for your interest in Blue Water Cleaning.